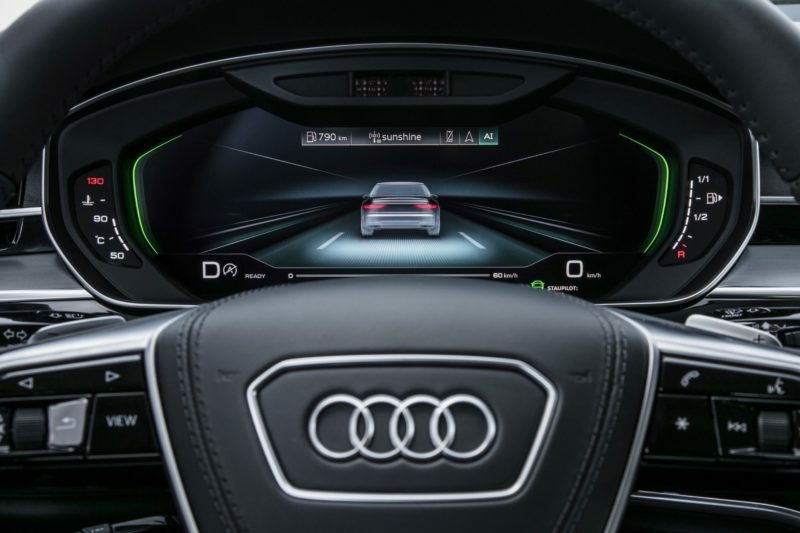 When the brand-new Audi A8 first launched, its big selling point was the fact that it was the first production car to hit the market with Level 3 autonomous driving. What is Level 3 autonomy? Well, it’s the ability for the car to completely drive itself, without the need for driver intervention at all, within certain parameters. In the case of the Audi A8, it is capable of driving at slow-ish speeds on the highway, completely on its own. This tech is what Audi calls ‘Traffic Jam Pilot’ and it won’t be coming to the U.S. Apparently, due to the messiness of American automotive regulations, it’s too difficult for Audi to bring Traffic Jam Pilot here to the ‘States. Instead, it will focus on the German market for now. To be honest, that makes a lot of sense. With a difference in laws between both the federal government and state governments, it would be near impossible to create a Level 3 autonomous car that complies with all regulations. So it makes sense for Audi to just say stuff it and keep the tech for Germany. That’s not to say that Traffic Jam Pilot will never make it across the Atlantic but there’s no plan to do so at the moment.